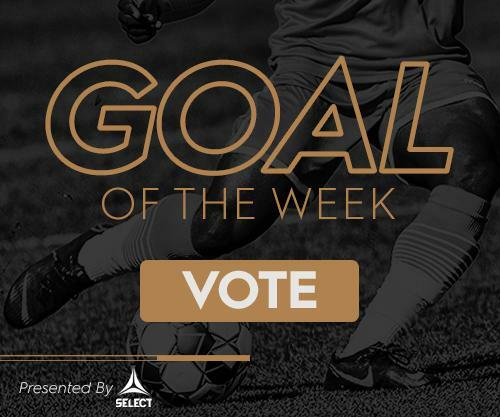 It's all been perfect so far for LouCity. Two wins at home to start the year were followed by an impressive away win at FC Cincinnati to kick off our 2018 campaign. The "Boys in Purple" have only gotten started, though, and a weekend visit from the Richmond Kickers stands in the way of what could potentially be LouCity's best start ever through four games. LouCity hosts the Richmond Kickers for Black Out Night at 7:30 p.m. in our home confines of Slugger Field. The Kickers enter off the back of earning four points in their last two matches. Local station WBNA will air this weekend's match on your screen while 840 WHAS AM carries the action over the airwaves. Fans can also follow the match live on Twitter & Instagram. Louisville City FC defeated FC Cincinnati, 0-1, in front of a crowd of over 25,000 at Nippert Stadium on Saturday night. After a little persistence in the attacking third, the "Boys in Purple" broke the deadlock just 13 minutes in. As FCC failed to clear a loose ball in their penalty area, forward Cameron Lancaster came sweeping in to fire home from close range with his left foot. At the break, LouCity led, 0-1. In the end, another steadfast performance from LouCity saw them earn all three points in the Dirty River Derby. Behind the 1-0 win, LouCity moves to 3-0-0 (9 pts.) on the season, while goalkeeper Greg Ranjitsingh earned his third consecutive clean sheet. 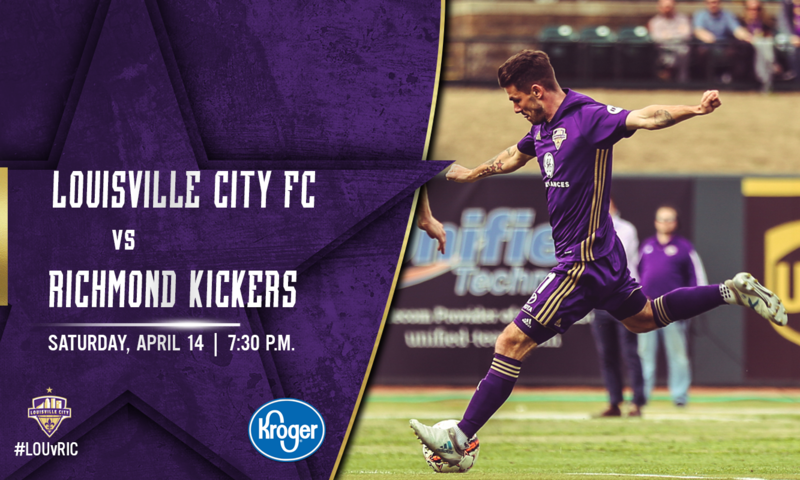 After a 0-1 road win at FC Cincinnati, LouCity returns to Slugger Field looking to use their home environment for good in search of a fourth straight win. Richmond forward Brian Shriver has been involved in every goal the Kickers have scored so far, scoring, assisting, and drawing a penalty in their four games so far. LouCity has had major success early on when pushing the ball through midfielders like Kyle Smith, Paolo DelPiccolo, "Speedy" Williams, Oscar Jimenez, and others.